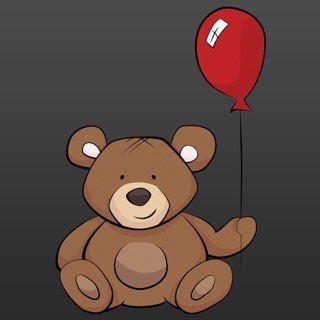 Cause2Effect is a set of eight cause/effect activities designed to support the needs of learners developing skills with motor coordination, vision and language within an errorless learning pattern of engagement. 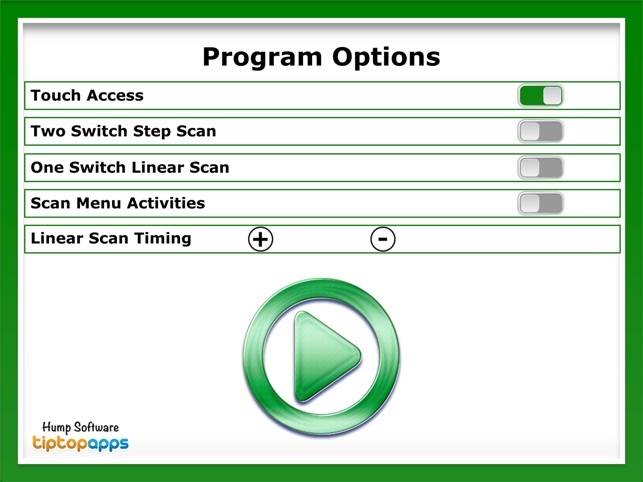 Access options include direct touch, single switch and two switch auditory scanning methods. Choose an activity. 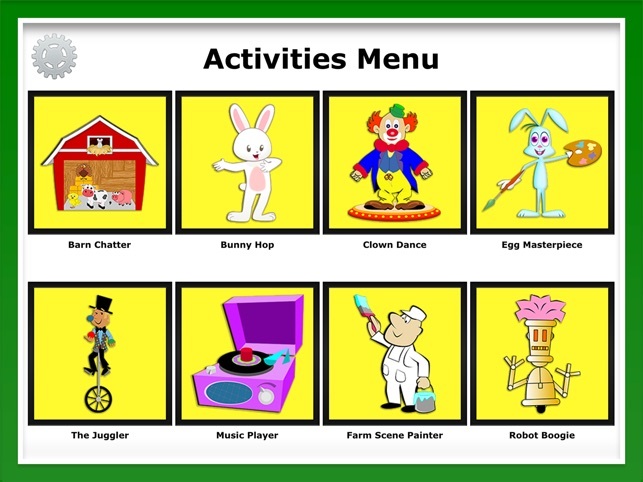 When finished, the user is given the opportunity to choose "more" to play the activity again or "stop" to return to the activities menu. 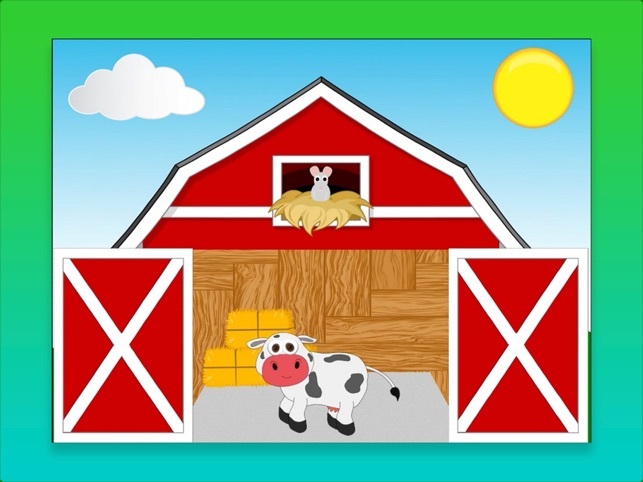 Barn Chatter: Open the barn door to reveal one of four farm animals chatter. Bunny Hop: Watch the bunny dance to upbeat music. 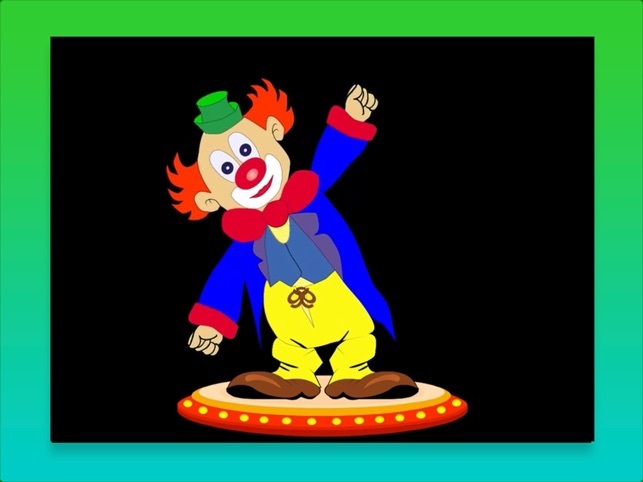 Clown Dance: This activity sets a colorful slow dancing clown against a black background to music. 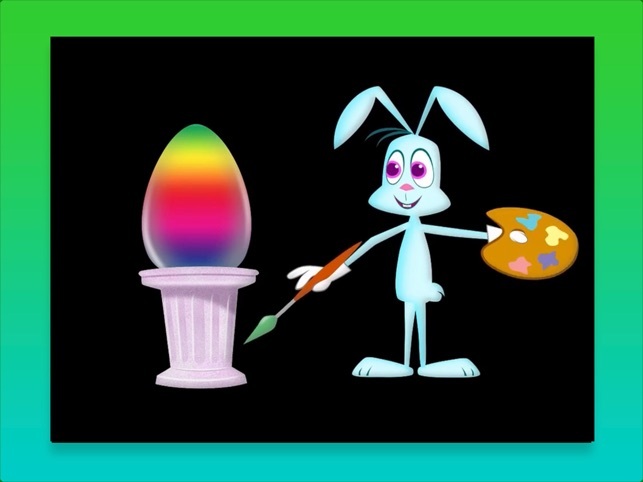 Egg Masterpiece: Tap to see the bunny paint colorful egg masterpieces. 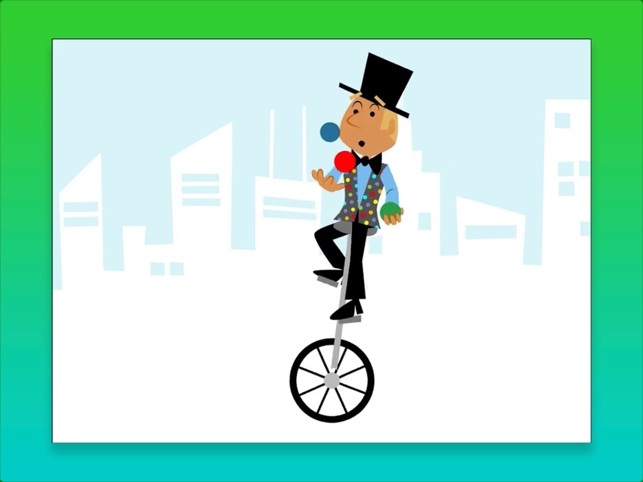 The Juggler: The juggler rides his unicycle while juggling three balls. 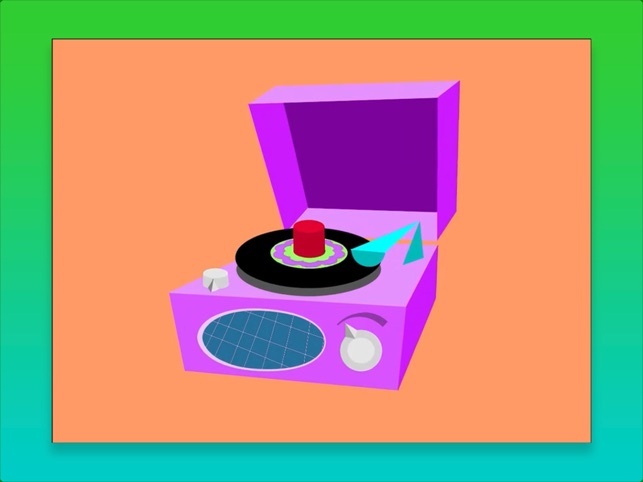 Music Player: An animated record player plays upbeat songs with catchy lyrics. 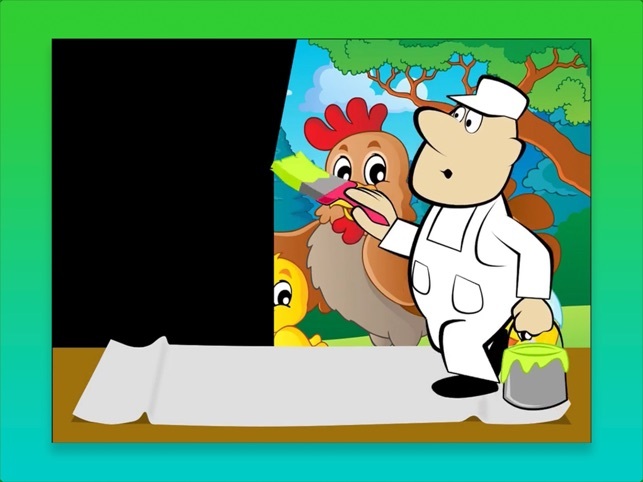 Farm Scene Painter: Paint a farm scene with animals, farmers and more! 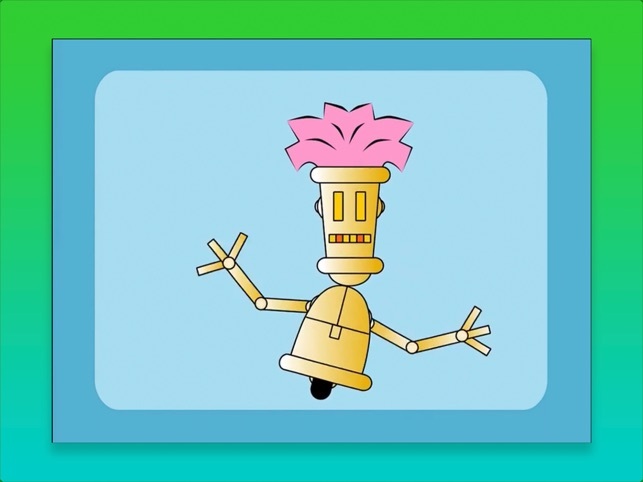 Robot Boogie: The robot dances to electronic music.